Earlier this year, I had the absolute pleasure of visiting the distillery of perhaps one of the best kept secrets in the whisky world (but not for long!). 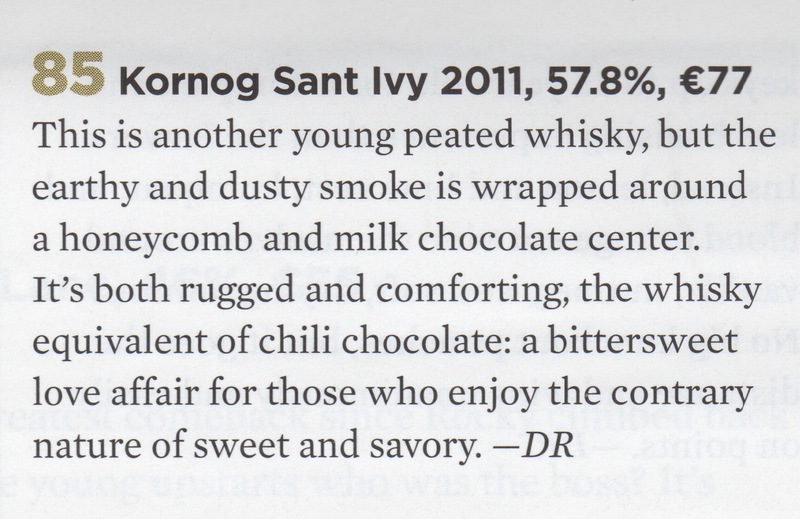 Celtic Whisky Compagnie’s most popular brands are Kornog and Glann ar Mor. (Specific product reviews in part 2 of this series). 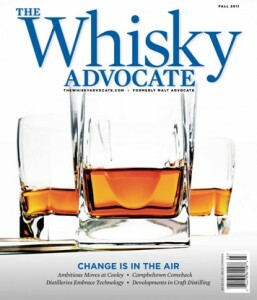 On the heels of the Winter issue, before you send your 1st edition Fall 2011 Whisky Advocate magazine out to the recycling bin (or storage bin), check out their nice mention! 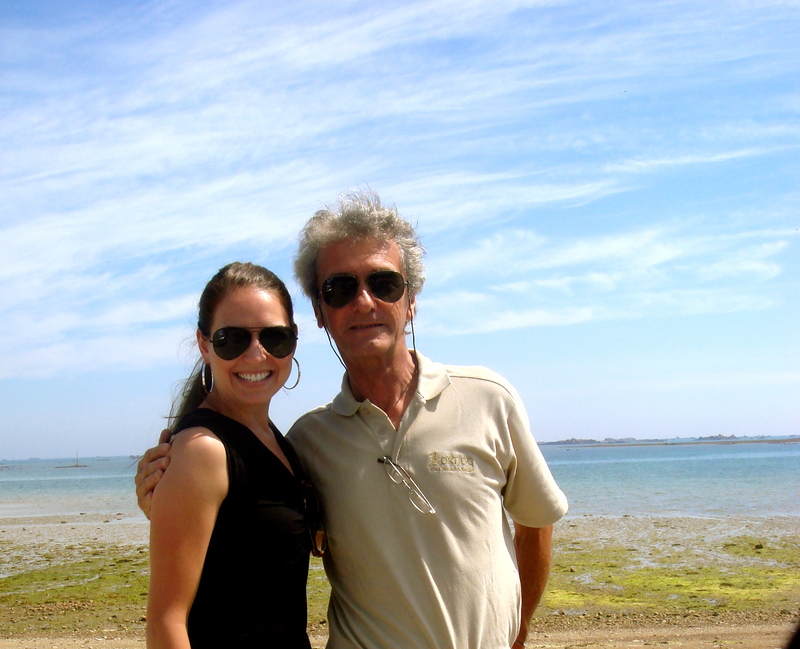 Stepping off the train from Paris to Brittany, you arrive in this beautiful, small, sunny, sea-breeze soaked town where it’s easy to start imagining ones’ early retirement. Shortly there after, we were graciously picked up by my dear friend and head distiller, Jean Donnay. As he drove us down the windy coastal streets, we watched the tide quickly retreat and the oyster farmers rushed in to collect their crops. After a blissful tour of the distillery, we shared the most delicious seafood lunch on the top floor of the distillery where we talked about and drank Jean’s amazing whiskies. Remind you of somewhere? Starts with an “S” ends with a “land”… exactly. This carefully produced spirit comes off the stills and relaxes on the earthen floor right by the sea. The warehouse is on the tip of a peninsula so you get the wonderfully moist, salty sea air continuously swirling around the aging whiskies. When you sip Jean’s products, you are transported to this place and the amazing journey for your senses begins. Those of you in Europe – get your hands on a bottle or two (if you’re lucky!). As for us Americans, definitely pick up a bottle on your next pass through Europe! You’ll be glad that you did! I bought a bottle of another Breton whisky – Armorik – some 5 years ago and found it really interesting, if a little young and sharp. Brittany is our family’s ancestral homeland so it’s great to see this proliferation of whiskies. I’ve put these two on my list, thanks WW. Thanks for commenting! I need to pick up a bottle of the Armorik – it’s the only Brenton whisky sold in the US (and only very recently) but one I have heard some controversy over which of course piqued my interest! Should you ever go on a journey back to trace your roots – let me know. I’ll happily put you in touch with the distiller. It’s definitely a great place to visit (and perhaps secretly want to stay forever). I’ll definitely take you up on that – much appreciated. Happy holidays and may the dram be with you! Once again, yet another fascinating Whisky find. I really do need to travel more. I’ll keep an eye out for your tasting notes. Thanks! Perhaps it’s not travel MORE but rather HOW one travels? We never go anywhere unless there is a distillery or winery to visit (my mother is so proud) ha! But what can I say… it sure is fun! Hmmm, yes, breweries, wineries, distilleries & china shops are probably not great when paired together with kids. What a lovely looking hotel! Talk about hip and trendy. I’ll put it on our list if we get serious about going. The Wife and I stayed at The Royalton when we were in NY, so I totally appreciate and enjoy that kind of low key luxury. Can I afford it? We’ll just have to wait and see. I like your style: massage for the wife, whisky for the husband. I’m probably too greedy and would want both! Sounds like you two have figured out a great balance … which is really what we’re all striving for at the end of the day, right? Both in life and in our whisky glass! (Couldn’t resist). Yes, Jean & Martine make potentially great whiskies. They seem to have hit the ground running and have not bottled the initial trial attempts (which should never have been bottled), which we have been offered by some other young distilleries. Another Breton whisky which you should taste as a curiosity is Eddu. I don’t consider it to be a whisky, despite what it says on the label, because buckwheat is not a grain, it is a flower and it is the seed which is used to produce the grist. Anyway, enough of a rant, it is a relatively unusual flavour, a little coarse. I gave it blind to one of my whisky classes and they didn’t think that it was a whisky. Thanks for stopping by and sharing your thoughts! (Whisky rants, by the way, are ALWAYS welcome on this blog!). I appreciate you bringing up Eddu. I live in the US and have limited access to these products but have heard/talked about it with some of my EU contacts a bit over the last year. I agree with you, since the buckwheat is not an actual grain, I’m not sure how you can call it “whisky” but from what I understand, they used the buckwheat because of the seed’s prevalence in that area and they wanted to make an authentic Brenton whisky, an homage, if you will, to their territory which is exactly how whisky started in the first place! The fermenting & aging of grains from the surrounding land. 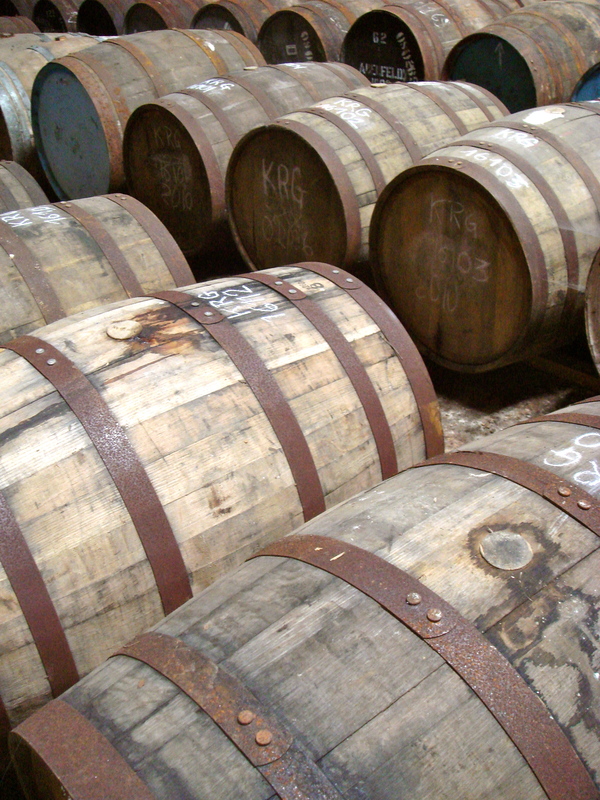 There were no grains being “imported” as whisky is what happened as a result of a plentiful year – they had to do something with all of that extra grain! (Thankfully, for us, they created whisky). 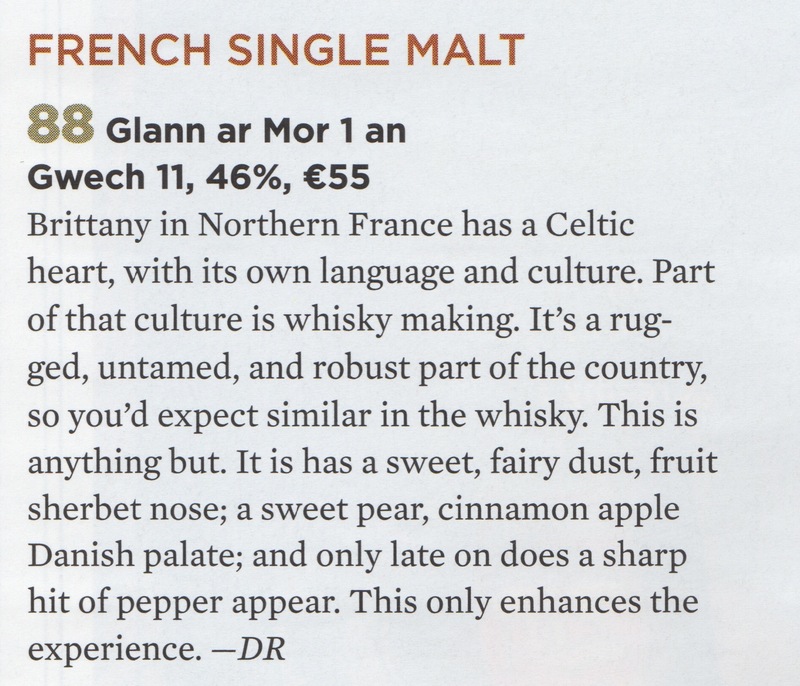 Lastly, I have to give it to the French for being so adventurous with their “whisky” distilling. Not saying that adventure always = success but you can’t lead by following so I applaud their efforts. I had even heard of a distiller who, for a short while, was aging whisky in used champagne barrels … only problem is champagne isn’t aged in barrels (I think he sold out and started making bulk product to sell to the Chinese … that has to be a first for France!). But it just goes to show that they are being creative and I am excited by the renaissance whisky distillation is experiencing right now. I think truthful creativity does have a place and can/is attracting new whisky enthusiasts to this great spirit! Thanks again for stopping by! I appreciate your perspective! Whisky, by definition, is a spirit which has been distilled at a distillery from water and cereals. It is likely that the Eu will legislate on this in the next couple of years. The French whisky distillers are pushing for geographical recognition along the lines of that accorded to Scotch last year. If they are successful, Eddu will have to find a new name for its product. Which I think is appropriate … I don’t think it’s right to call something “whisky” when it doesn’t fit the mainstream understanding (or in this case even technical definitions). I don’t support false advertising. If I’m correct in that we see eye-to-eye on this, Eddu SHOULD change their classification and I would support the EU’s ruling. These next 5-10 years are going to be soooo interesting in the whisky world. I predict we are going to see a lot of changes happening with the American craft movement and the distilleries who are establishing themselves all around the globe! I’m just so honored to be involved & able to write about it! Thanks for coming back and staying engaged in the conversation, John! Exciting indeed! Thank you for commenting! It’s truly a wonderful place and a memory I will cherish forever. Thanks for sharing some of your links. Great article on Kornog & Glann ar Mor! Readers, make sure you click through and take a look. Also, you’re profile of Rachel Barrie is fantastic. As a female in the industry, I’m keenly aware of not only how I am being received in any given circle of male-dominated whisky events, but also how we whisky women are being portrayed. I appreciate that you highlighted her skills, talent and drive verses focusing solely on what it’s like working as a woman in the industry. Bravo! 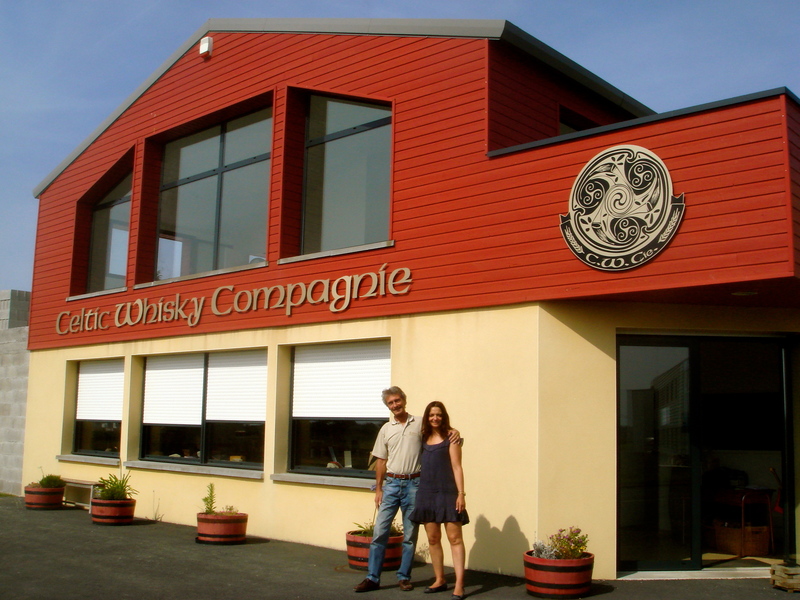 You are currently reading Celtic Whisky Compagnie in Brittany, France (part 1) at The Whisky Woman.